Princeton, NJ — 2017 was a pretty good year for the U.S. travel goods market. With one notable exception, consumers paid less for more, according to a new report released by the Travel Goods Association (TGA). Travel goods include luggage, backpacks, travel/sports bags, business cases/computer bags, handbags, totes/duffels, personal leather goods, and luggage locks. 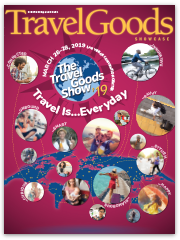 TGA estimates that sales of travel goods in the United States hit $31.3 billion in 2017, essentially unchanged from 2016. With a growing economy and an improved business outlook, more families took vacations and more businesspeople traveled in 2017. That was great news for U.S. luggage sales, which rose 8.3% by volume. To drive those sales, travel goods firms took a hit on margins, leading unit prices to decline slightly (0.3%) in 2017. Backpacks became the travel goods item to have in 2017, with sales surging 10.5% by volume and 9.6% by value. 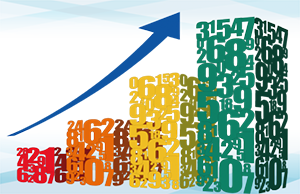 Unit values held relatively steady despite the surge in sales, slipping only 0.9%. After a bad 2016, the travel/sports bags market remained fairly stable in 2017, with volume sales down a modest 0.1%. The steady sales came at a price, however, with unit prices dropping 3.8%. While the promotional bag market remains strong in 2017, consumers continue their return to traditional luggage, and away from large totes or duffels, for travel. According to TGA estimates, the business case and computer bag market continued its downward trend, hitting another record low in 2017, with unit sales of business cases and computer bags sliding another 11.4%. Consumer preference for versatile backpacks and handbags with built-in laptop sleeves and the increasing replacement of laptops with smartphones and tablets, combined with the ongoing casualization of business, all contributed to the 2017 decline. The growth in the sales of backpacks and handbags that have built-in protection for smartphones and tablets, combined with the growth in smartphone cases that can hold your cash and cards, hit both the traditional and new parts of the personal leather goods market. As a result, 2017 was a relatively flat year (-0.6%) for flatgoods sales. The growth in leisure and business travel in 2017 translated into a 51.1% surge in sales of luggage locks. However, with concerns over TSA security requirements leading to the potential destruction of those locks, consumers put a premium on cost, driving down unit prices by 20.1%. Handbag sales experienced their second year of growth in 2017, with unit sales increasing 5.5%. But, again, consumers were most focused on value. In fact, average unit prices fell 6.1% in 2017. To put all of this in perspective, American women bought an incredible 266.3 million handbags in 2017, or more than one handbag, on average, for every female in the United States, from infants to centenarians. 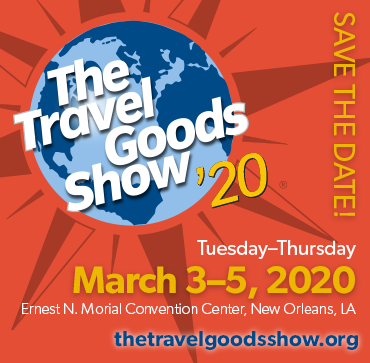 For more information, go to TGA’s just released State of the U.S. Travel Goods Market 2003-2017 (https://travel-goods.org/wp-content/uploads/2018/04/TGA_State_of_US_Travel_Goods_Market_2017.pdf) or contact TGA at 877-842-1938, x-702 to learn more about the latest trends in the U.S. travel goods market.